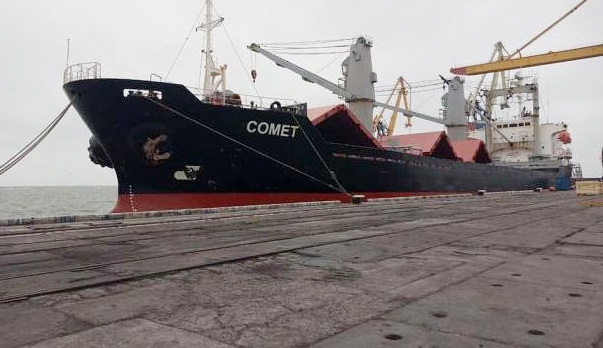 The cargo ship Comet detained in Ukraine, transporting the products of the Alchevsk Metallurgical Plant, located on the territory of Donbas not controlled by Kiev, left the Mariupol port. 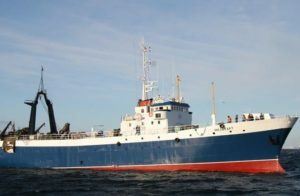 About this TASS reported the representative of the Mariupol port. “The cargo ship Comet left the port more than a week ago,” the agency’s source said, without specifying the details of the vessel’s route. According to him, the cargo that was carrying the vessel remains in the port. “Metallurgical products still remain in custody with us,” the port representative said. The fact that more than 3 thousand tons of products of the Alchevsk Metallurgical Plant were detained in Mariupol, said the Prosecutor General of Ukraine Yury Lutsenko earlier. According to him, those involved in the incident will be prosecuted under the Criminal Code for financing terrorism. The Prosecutor General also noted that these actions are a response to the Russian sanctions imposed on November 1 against Ukraine. Comet is owned by a Dutch company, flying the flag of Liberia and is managed by a company from Singapore. The cargo was transported from the Russian port to Belgium. According to unconfirmed data of some media, the crew of the vessel consists of citizens of Ukraine.